Enough with semantic arguments over the word “wall”. Stop pretending that ancillary “solutions” (drones, sensors) is enough to prevent 400,00 people per year from crossing the border illegally. BRIAN KILMEADE: Dan, help us out. You are in a border state. Is a wall Medieval or is a wall effective? 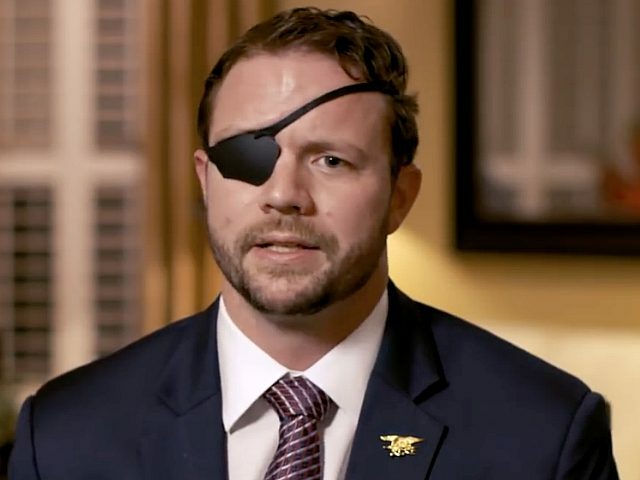 REP.-ELECT DAN CRENSHAW: The wall is effective. It’s a crucial part of any kind of border security. I spent a whole career infiltrating places, and you know what? When we come up upon a wall, it matters. We have to plan around it. It’s a mitigating factor if you’re trying to enter or cross from point A to point B. So, that typical argument we hear from Democrats that ‘it doesn’t make sense, it’s too expensive, it’s medieval,’ I would like to hear some reasoning behind that. It’s not so expensive. It’s .1 percent of our entire federal budget… that’s what $5 billion ends up being. It’s really not about the money for them, and we also know that the president and Mike Pence, they offered about $2.5 billion as well… Democrats are refusing to budge on this. For them, it’s about semantics. They hate the word ‘wall.’ They just hate it, right? And for some reason they don’t value this idea of border security. They don’t value the sanctity of our borders, and that’s really problematic, especially for a border state like Texas. We’re on the front lines down there. AINSLEY EARHARDT: The president tweet ‘let’s make a deal.’ He invited both sides to come into the White House. He wants to negotiate. Do you think Democrats will budge at all? What do you anticipate the future is going to look like? REP.-ELECT CRENSHAW: It’s hard to say at this point, honestly. Again, I don’t know what there reasoning is. I hope they do. We have shown some willingness to negotiate on this. But again, we always have to question what is the underlying reason here? I think what they really want to do is score points against the president. He made a campaign promise and they want to score points against him by destroying that campaign promise. But, it’s at the expense of our security. We saw this migrant caravan coming in last night. You know what stopped them? A wall.